With the Holidays just around the corner, you may not have the time to cook for all your family and friends on Thanksgiving. Instead, have Element Restaurant & Bar do the cooking for you. 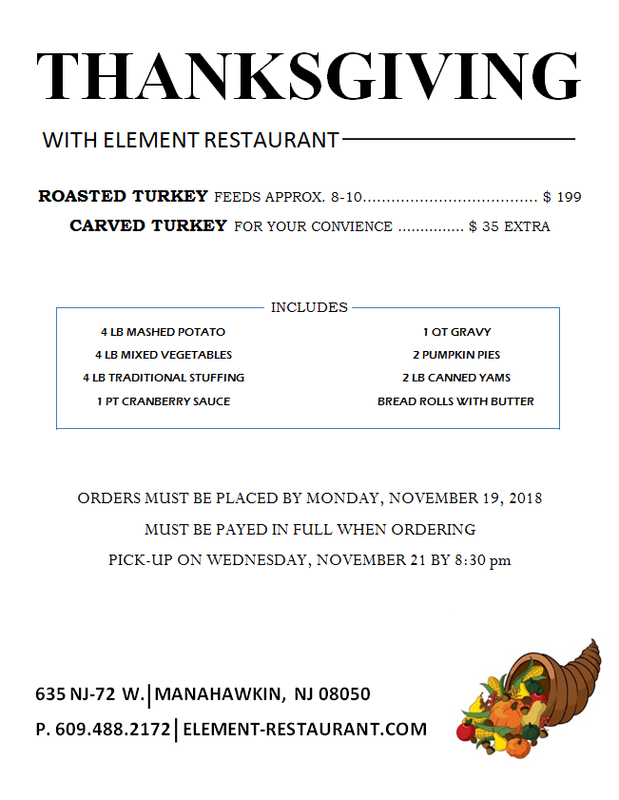 Join us at Element Restaurant & Bar for our Thanksgiving Eve party! Do you love our Happy Hour? Who doesn’t! Worried about finding a seat? Don’t worry! We will be opening an additional bar, stocked with all your Happy Hour favorites in our beautiful Banquet Room. Starting November 22, 2017 at 3:00pm.